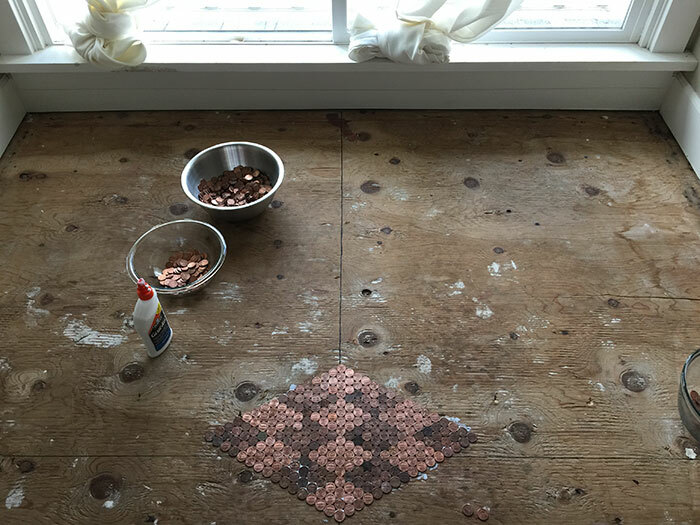 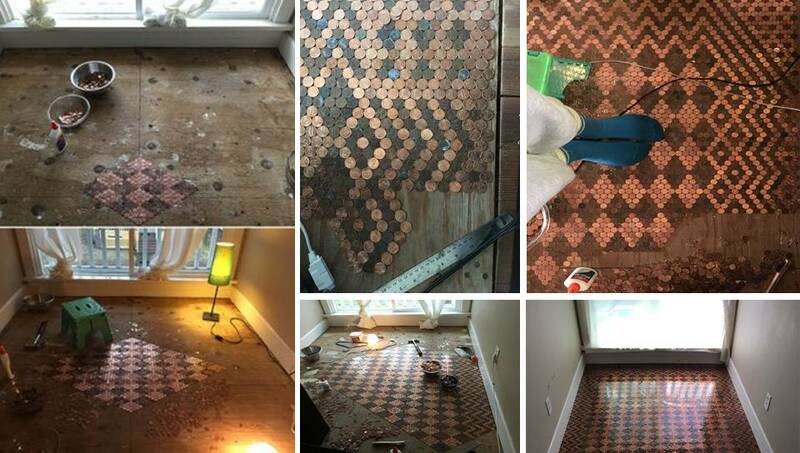 Creative DIY Idea what to do with that jar of pennies collecting Enthusiast Renovating Old Floor with 13,000 Pennies And Turning It Into Stunning Patterns to make a beautiful patterned floor in your small room And you can do that in any small place in your house. 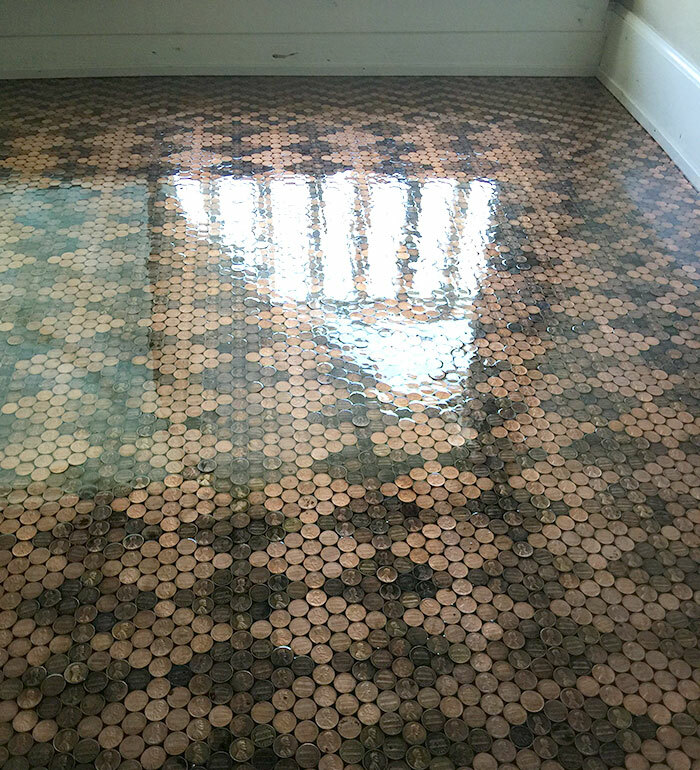 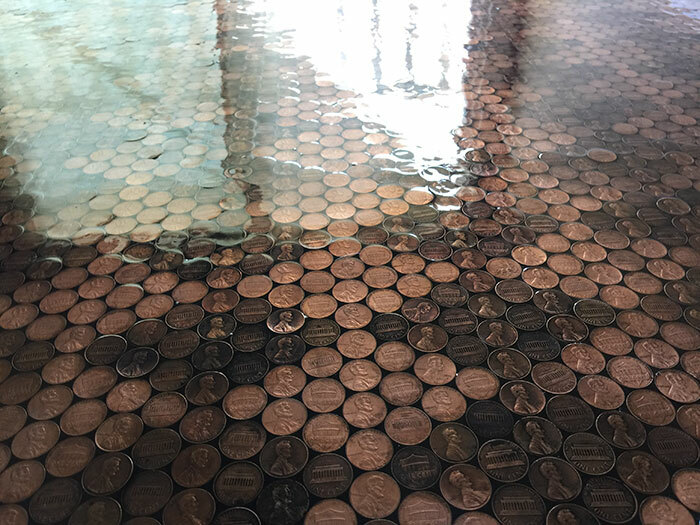 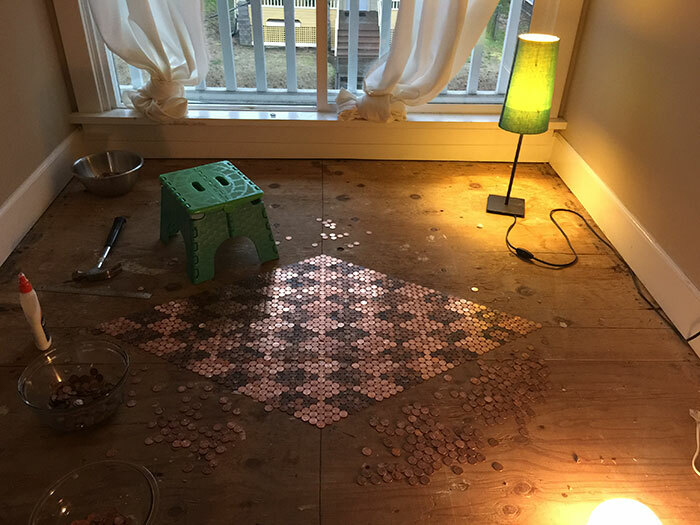 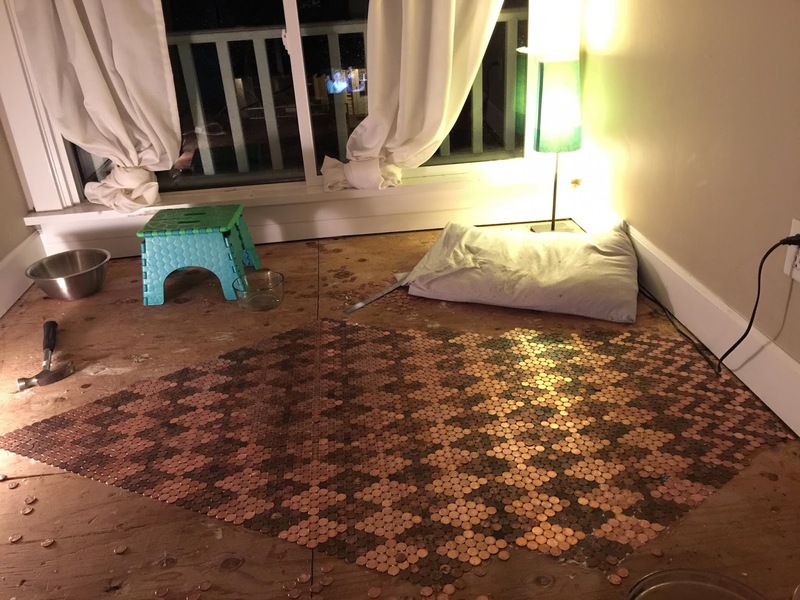 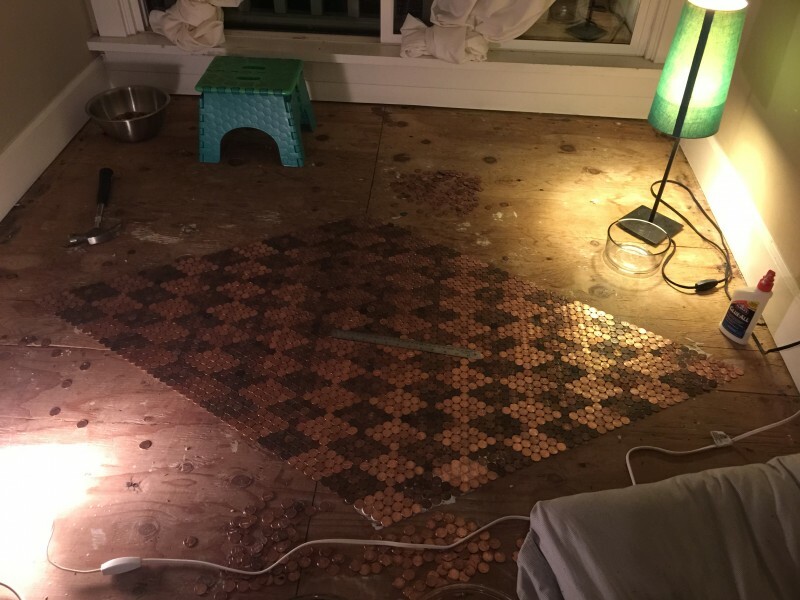 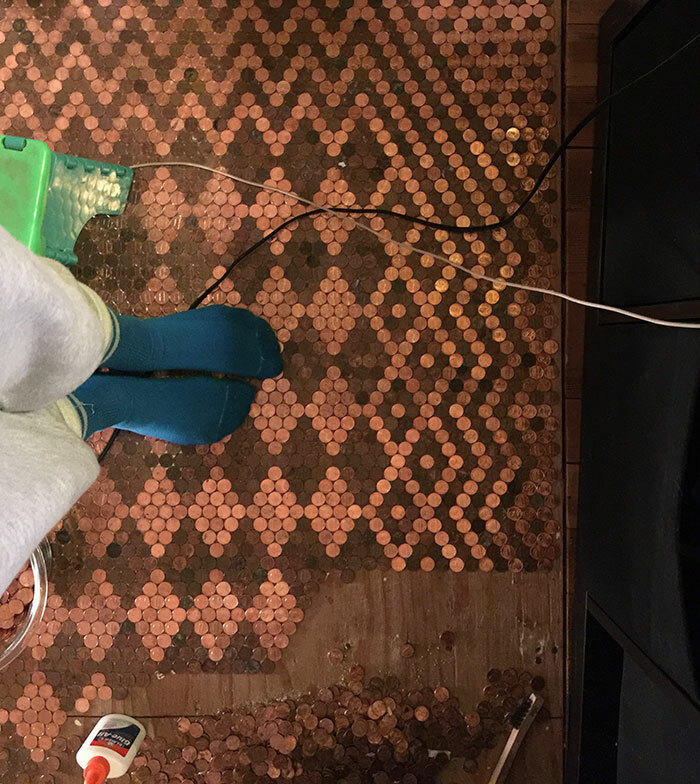 This floor using three $50 bags of pennies , some glue, ten bottles of glue to be precise. 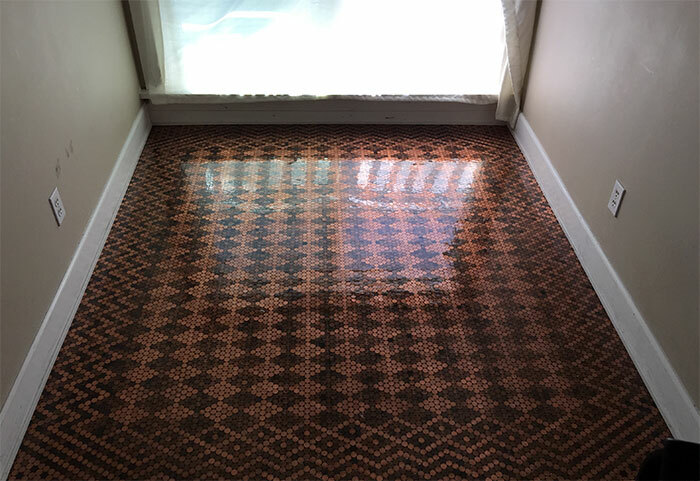 wood filler, and some epoxy. 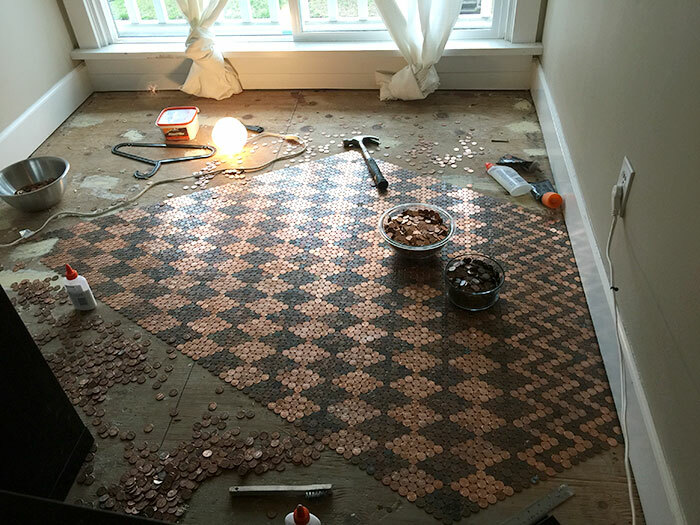 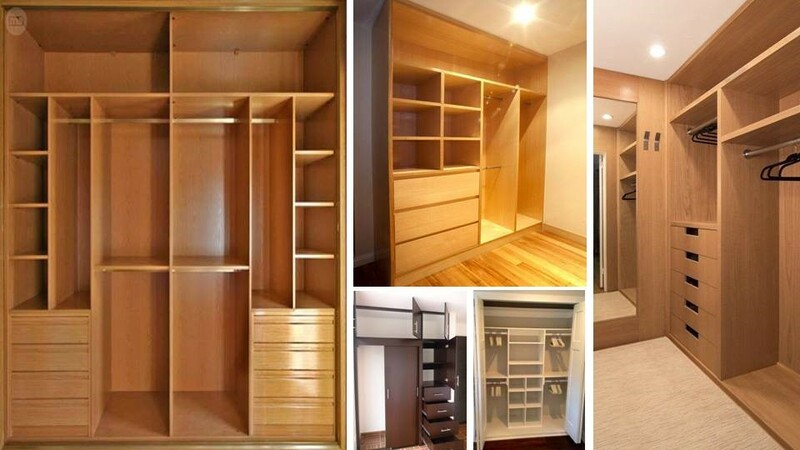 The project took a long time to complete, and progress was often stalled. 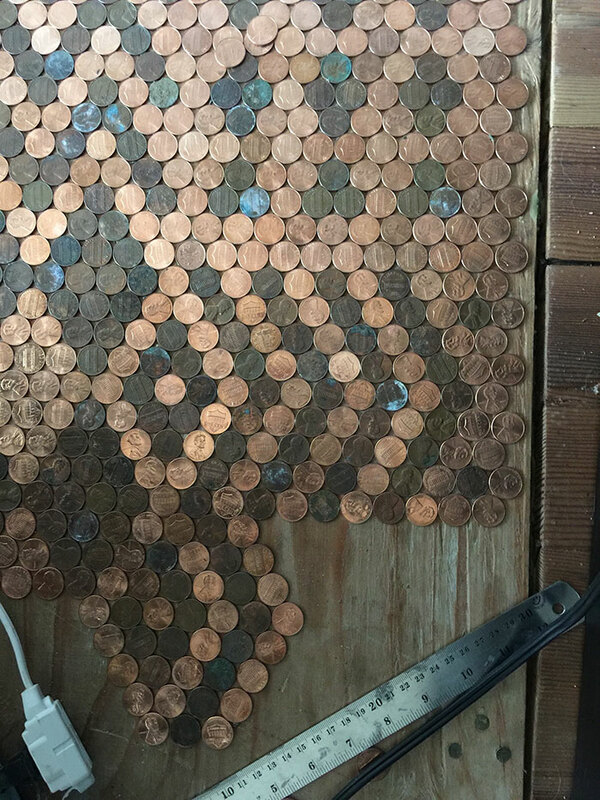 Without having a particular design in mind and just started with the diamonds, liked how it looked and kept going.